Hello, fellow Kate fans. It’s been all quiet on the Cambridge front recently. 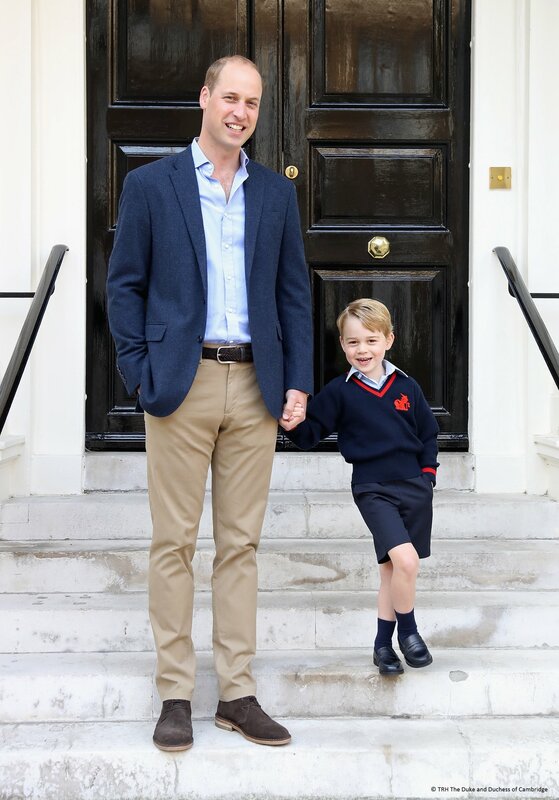 Probably because Prince George was on half-term holiday last week. I imagine the family spent the whole week at their country estate in Norfolk. As regular readers will have noticed, Kate carried out very few engagements this autumn due to her nausea and vomiting condition. Sadly, her illness meant she had to scale back on work, even cancelling an engagement in September and rescheduling November’s overseas tour until next year. Two of the three engagements she carried out in October were previously unannounced, meaning her appearances were unexpected! But something signals that she’s starting to feel a little better…. In recent days, the Palace has added three new dates to Kate’s public diary. By announcing the new engagements, we’re guessing Kate feels pretty confident that she’ll be able to attend the events. Learn about both events below (along with some additional fun and frivolous Kate-related news items). Tomorrow (Tuesday 31st of October 2017), Kate will make an official visit to the Lawn Tennis Association. It will be her first solo engagement since announcing her third pregnancy in September. The visit will take place at the National Tennis Centre in London. The LTA is the national governing body of tennis in Great Britain, the Channel Islands and the Isle of Man. The LTA’s mission is to get more people playing tennis more often. 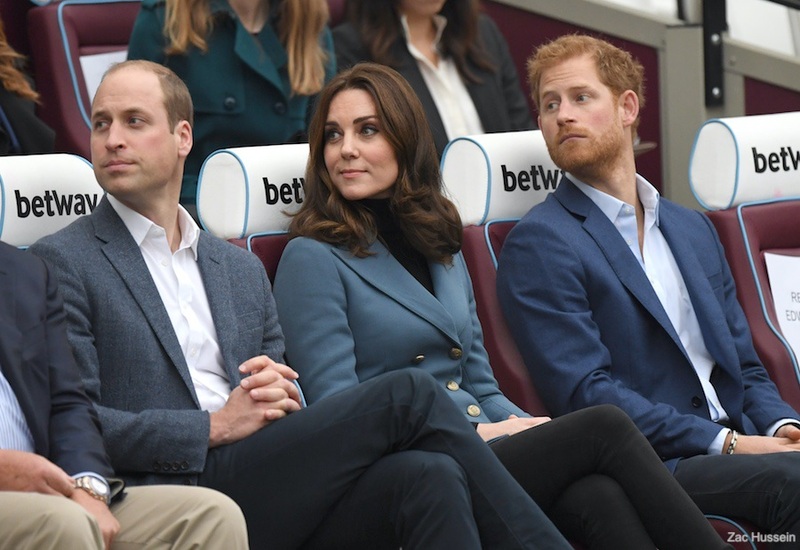 During the visit, Kate will enjoy a range of activities, including a wheelchair tennis demonstration and a tennis workshop for children ages five to eight. In addition, Kate will meet with apprentices from the Coach Core scheme. Kate fans will know she attended a Coach Core event alongside William and Harry earlier this month. Coach Core is an apprenticeship scheme that gives young people aged between 16-14 the chance to become the next generation of inspirational sports coaches. The organisation is an offshoot of the trio’s Royal Foundation. 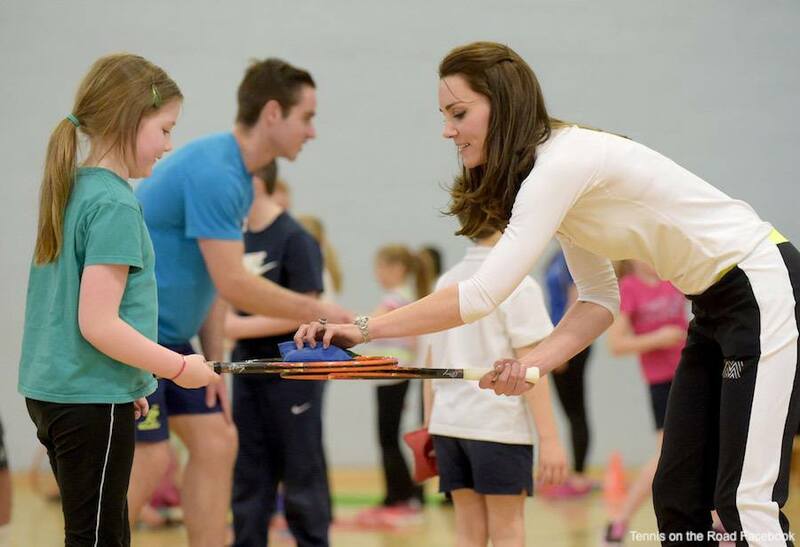 During tomorrow’s engagement, Kate will watch as some of the Coach Core apprentices lead tennis training sessions. Of course, we know Kate is a big Tennis fan. Since joining the Royal Family in 2011, she’s attended Wimbledon frequently, only missing a year while heavily pregnant with Prince George. Earlier this summer, Kate also contributed to a BBC documentary about Wimbledon. 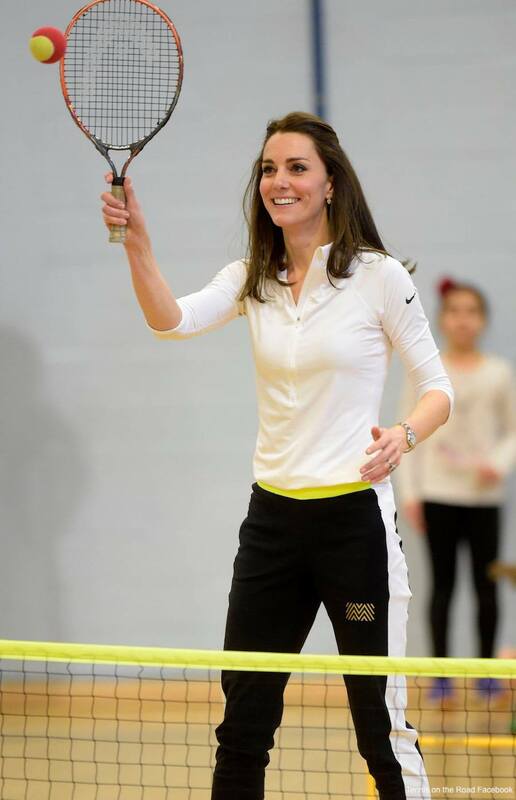 We learned that Kate grew up watching Wimbledon and that it inspired her to get involved with tennis as a youngster. 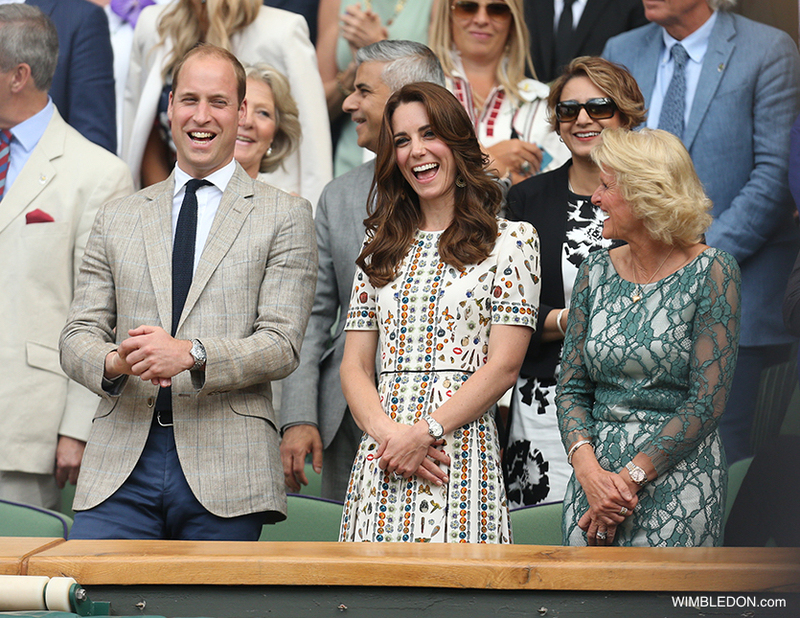 Tomorrow’s visit won’t be Kate’s first tennis-related official engagement as a member of the Royal Family. She took part in a tennis workshop with Judy Murray and the ‘Tennis on the Road’ organisation in February last year. 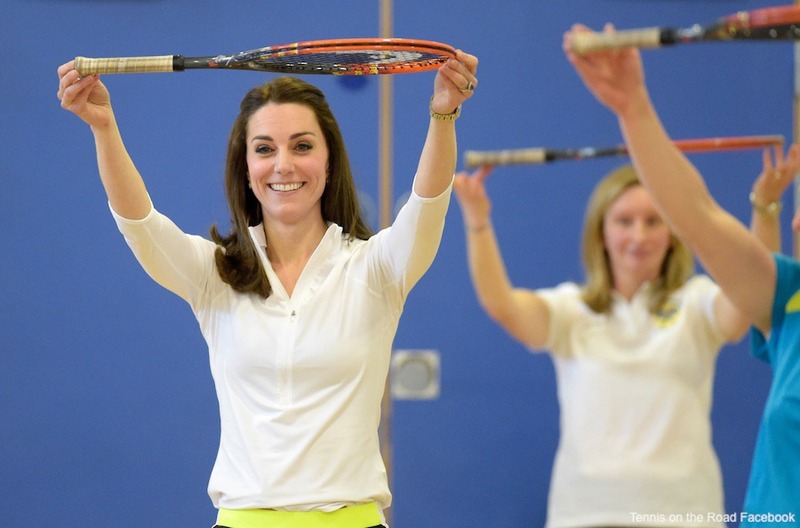 During the visit, Kate changed into gym gear and took part in some of the activities. Does this mean we’ll see a return of “casual Kate” tomorrow? Hopefully! During the Gala, our Patron and invited guests will hear more about the work of the AFNCCF and in particular receive an update on the new Centre of Excellence which is currently under construction on Rodney Street near King’s Cross Station. In addition, Kate will meet with some of the charity’s service users, including families who have benefited from the work of the organisation. On the 8th November, Kate will attend Place2Be’s School Leaders Forum in London. The visit is part of Kate’s ongoing work in the field of children’s mental health and wellbeing. The Duchess will open the conference and join delegates at the forum as they consider the key issues and latest thinking on the role that schools can play in tackling mental health problems early in life..
Place2Be is the leading national children’s mental health charity. Kate has been their Patron since 2013. Earlier this year, Kate delivered a speech at the charity’s Big Assembly for Children’s Mental Health Week. Another tidbit of royal news from the last week. 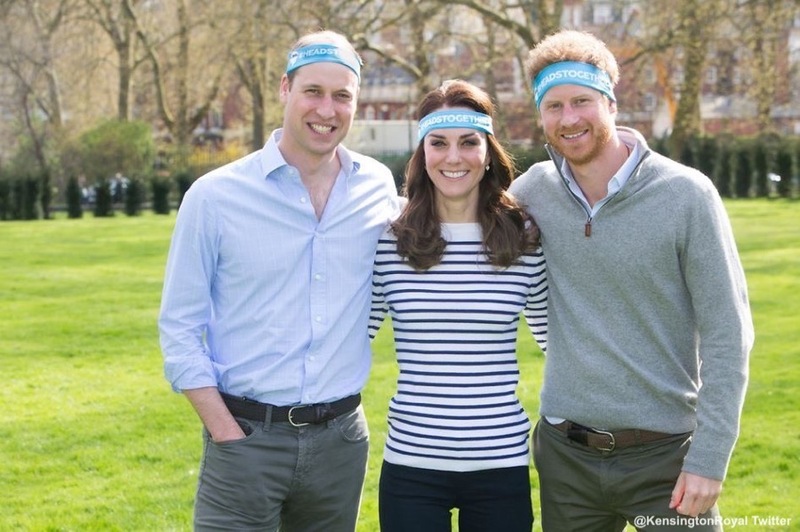 William, Kate and Harry’s Royal Foundation has trademarked the hashtag #stopspeaksupport. 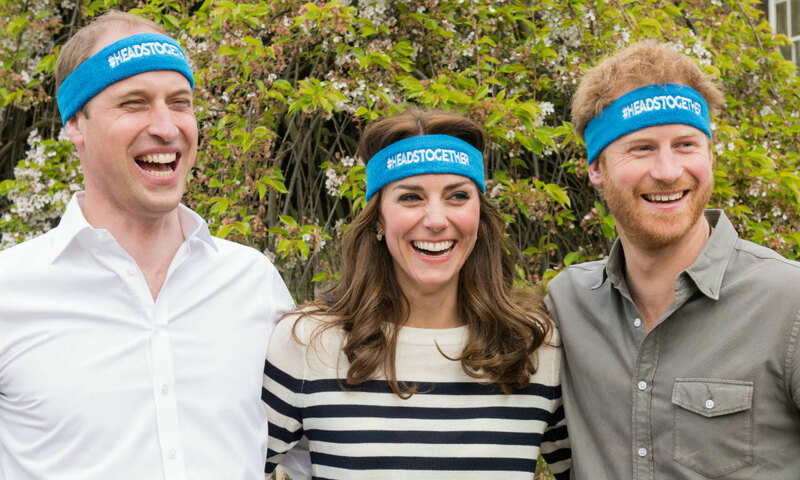 It’s likely that the trademarked hashtag will be used by the Heads Together campaign, a mental health initiative that’s part of the Royal Foundation. The official trademark information on the government’s website supports this theory. It says the trademark can be used in a number of mental health contexts, including for campaigning and for health care services. This makes sense because Heads Together are very active on Twitter. My guess is that Patricia’s correct and Heads Together will apply for a branded emoji and use it as part of a new campaign in the coming months. The videos were designed to encourage conversation around mental health and to let people know it’s #OKTOSAY without fear of judgement, prejudice or stigma. 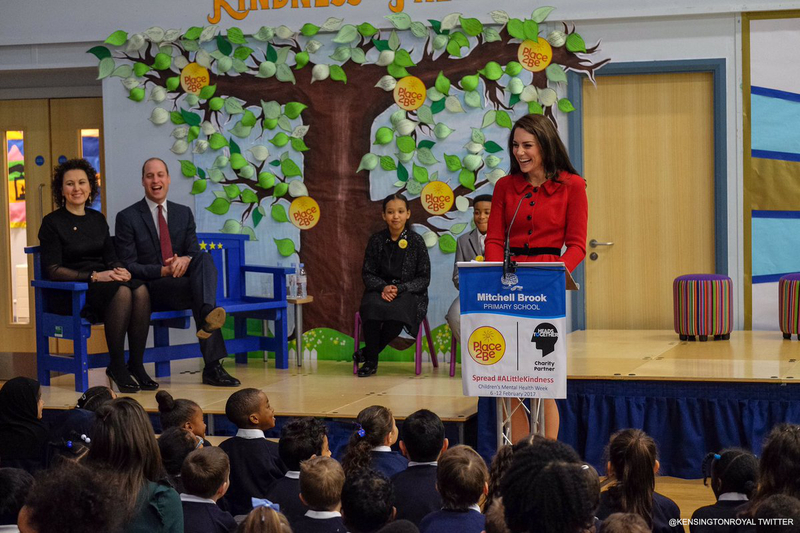 If Heads Together do launch a new campaign in the coming months, we’d expect William, Kate and Harry to promote it, as they have before. While promoting Heads Together initiatives, the three royals have visited BBC Radio One, raced each other around the Olympic Park, released new photos (below) and appeared in campaign videos (above). The trademark filing follows a press release from the Palace explaining that William, Kate and Harry would renew their focus on the next phase of the Head’s Together campaign this autumn. The Royal Foundation also announced it will be investing £2 million in a new startup for digital innovation that will develop new tools to help people have conversations about mental health. Now on to something a little more frivolous, Kate’s nail polish! For the Royal Wedding, Kate wore Essie’s Allure mixed with Boujois’ Rose Lounge on her nails. I’m not sure why this story has made a resurgence over the last few days, we’ve known this since 2011. Essie literally confirmed Kate used their polish hours after the Royal Wedding took place. Still, I thought I’d share this nugget of information in case you missed it the first time! Neiman Marcus, Bergdorf Goodman and Saks Fifth Avenue must take style cues from Kate. 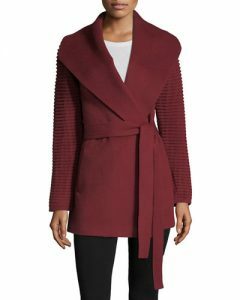 The three American department stores have just added the Duchess’s Sentaler Wrap coat from Canada to their stock. Saks – light grey as worn by Kate, plus dark grey, pink and black. Neimans – dark grey, baby pink and true blue. Bergdorfs – darker grey, black, dark ruby and bright blue. One to add to your Christmas lists, ladies? Of course, it’s similar to the famous Issa London dress Kate wore to announce her engagement in 2011. House of Fraser is running a “Brand Event” for a limited time, discounting some of the UK’s favourite brands by up to 30%. This includes Issa London, Coast, Dune, Joules and more! The budget-friendly version of Kate’s dress is reduced by £9.90! It’s available in a number of sizes and a few different colours. Click here to see. Of course, House of Fraser ship worldwide! Don’t forget, the Erdem x H&M collection will launch this week, on Thursday 2nd November. As I mentioned in a previous post, I think the skirt below will be popular with Kate fans. 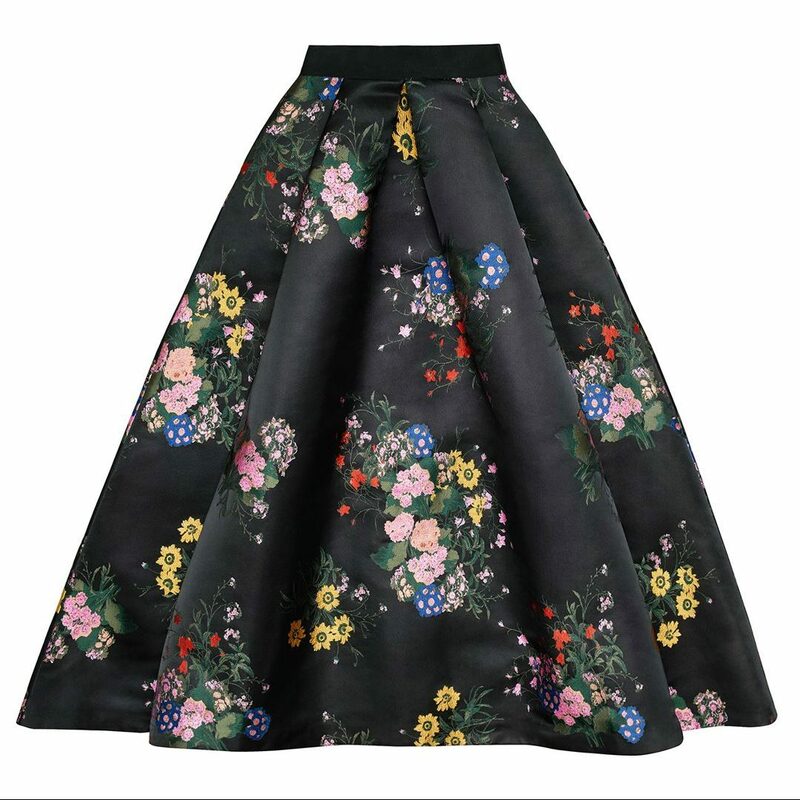 It’s very similar in shape to the Erdem skirt Kate wore in Gdańsk earlier this year. Now on to the slightly weird but wonderfully whacky: there’s an all-female choir in the UK who perform dressed as Kate. …each member looks the part. They’ve got Kate’s signature blowout down to a science with their matching brunette wigs, and they each sport replicas of Kate’s now-iconic blue Issa wrap-dress, which she wore to announce her engagement to Prince William. 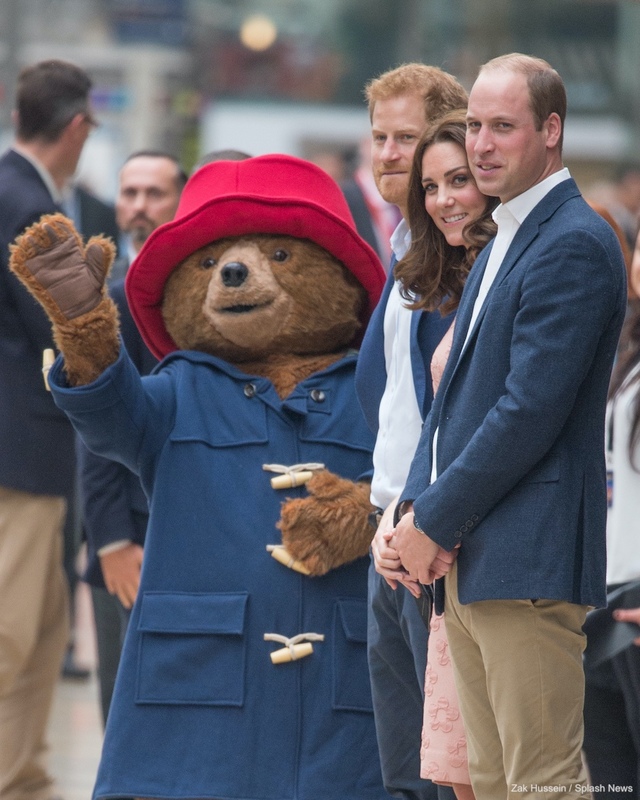 One member of the choir said she enjoys dressing up as Kate, as it makes her feel like a “real-life Disney princess”, which is something most of us can relate to I’m sure! 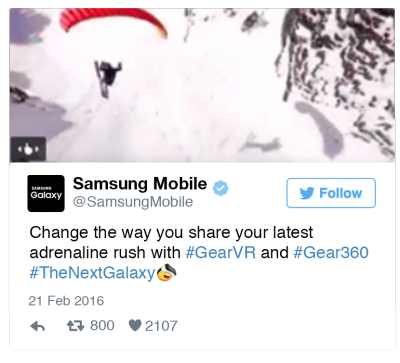 Read more on People Magazine’s website. 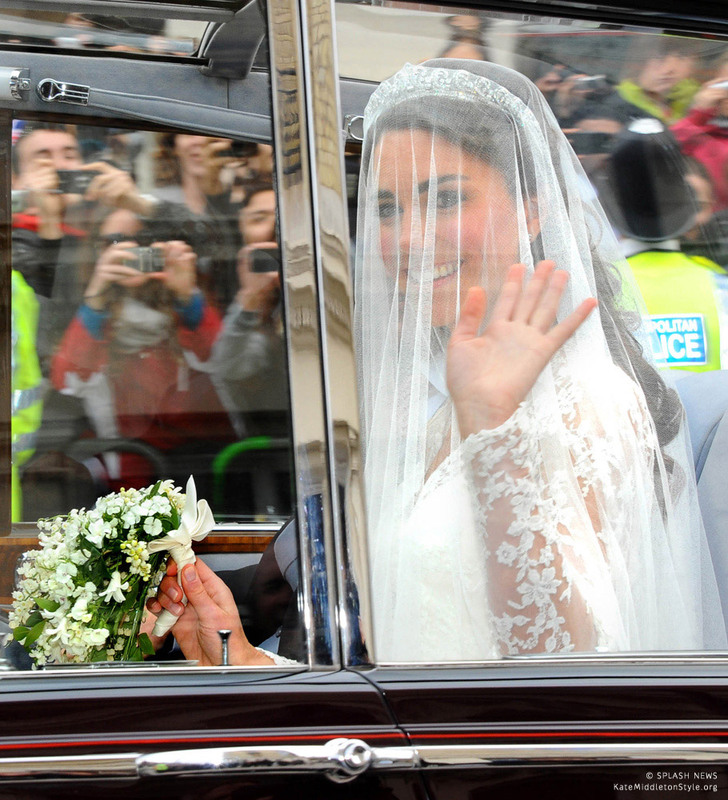 « Kate’s second surprise appearance of the week! 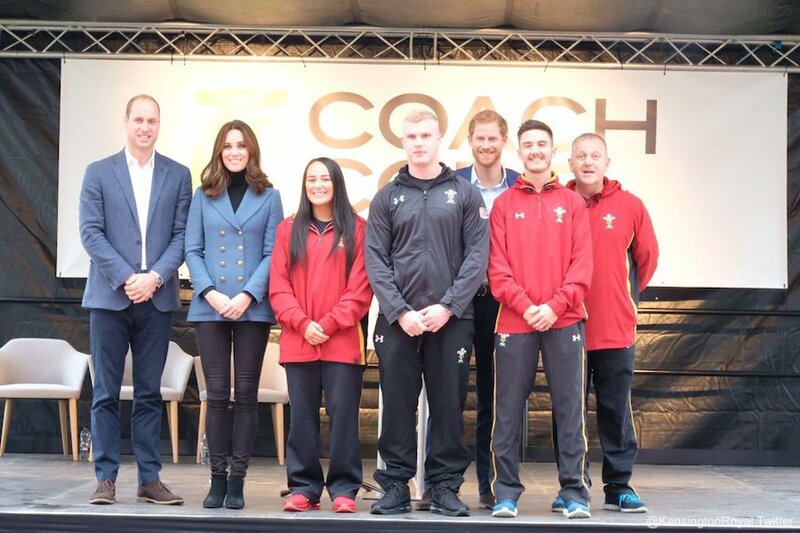 Duchess stops by Coach Core event.